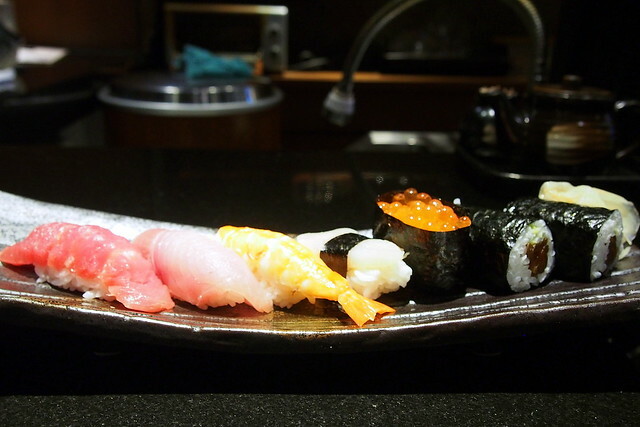 The concept of omakase dining is slowly gaining popularity in Malaysia. 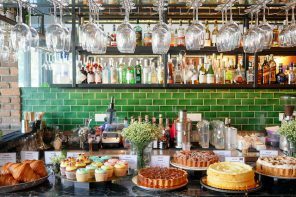 The concept comes from Japan and what it means is to leave it to the chef to surprise and excite your palate rather than ordering from the a la carte menu. 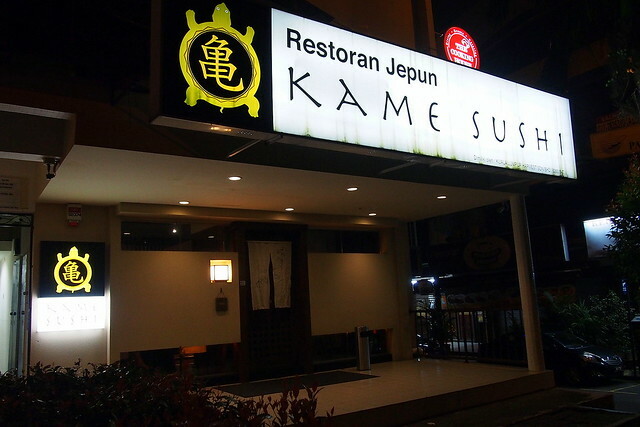 One of the pioneers of omakase dining in Klang Valley has to be Sushi Kame. 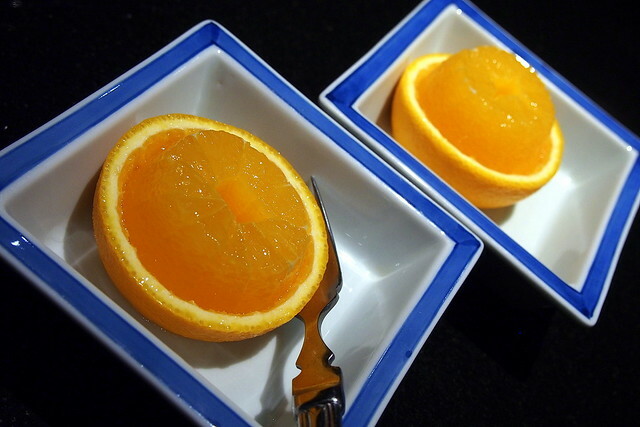 We have heard so many rave reviews of Sushi Kame and the person behind it – Chef Kame. Kame means turtle, which explains the little turtle graphic seen on the signboard. 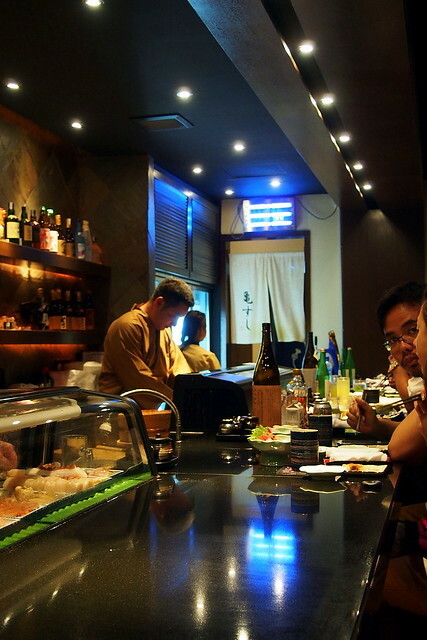 We made our reservation two days earlier and we were seated by the bar counter as soon as we arrived at Sushi Kame. 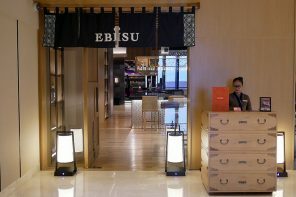 It is best to sit at the sushi counter rather than at the table, so you can interact with the chef and get each piece of sushi made fresh for you. 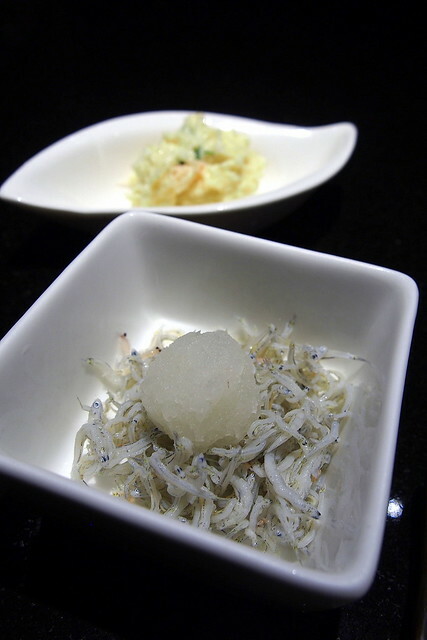 Our omakase dinner (RM150++) started off with a small but intricate appetiser sampler that consisted of small anchovies served with grated daikon radish and Japanese-style mashed potatoes. The anchovies were small but packed plenty of flavour. The mashed potatoes were nothing to shout about though. 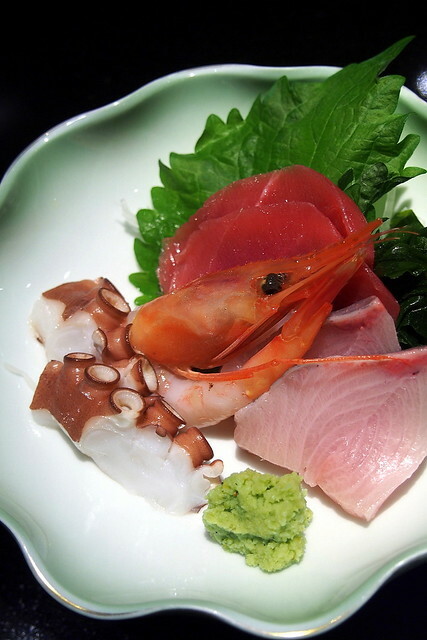 The next course was a medley of four types of sashimi – tuna, amberjack, octopus and sweet shrimp. I started with the octopus. While it was a little bland, its slightly chewy texture was delightful. Sweet shrimp is tastiest during late winter, and as the name implies, ours had a very sweet aftertaste. The tuna and amberjack sashimi were served with a thick cut and the flavours were fresh and sweet. 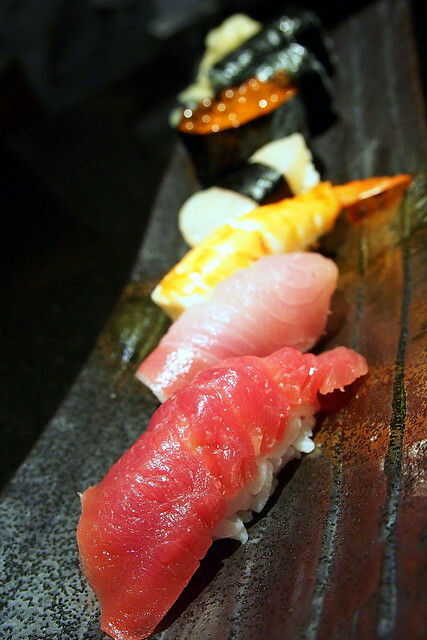 However, we were a bit disappointed that no chu-toro or toro sashimis were served that night. 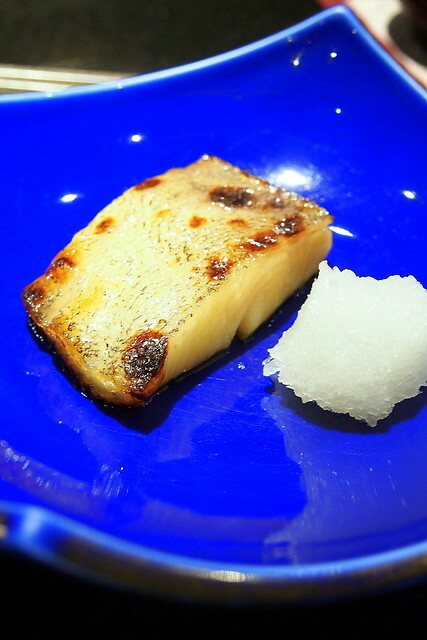 Our third course was a bite-size piece of grilled cod that was firm but moist and glossy from the sweet and salty glaze. A small black bowl adorned with delicate gold leaves on the lid came next. 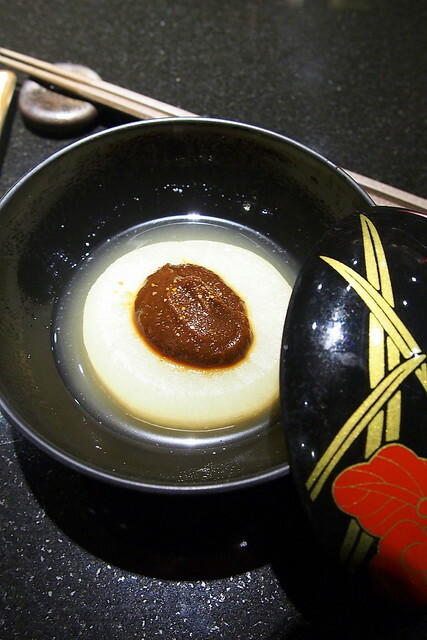 Inside was a piece of braised radish that was incredibly sweet and soft, with bean paste on top for an interesting sweet-salty combination. 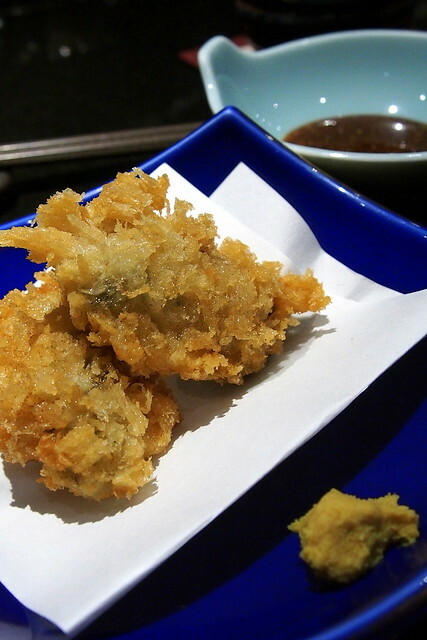 Our fifth course was two pieces of piping hot fried kaki (oysters) – crispy on the outside, and firm, moist and sweet inside. It wouldn’t be a complete meal at Sushi Kame without some sushi, and it was fascinating to watch Chef Kame skillfully make our sushi right in front of our eyes from the sushi counter. Initially, we were a bit worried that we would leave Sushi Kame still hungry because the portions served were too small. However, the sushi platter filled us up pretty quickly. 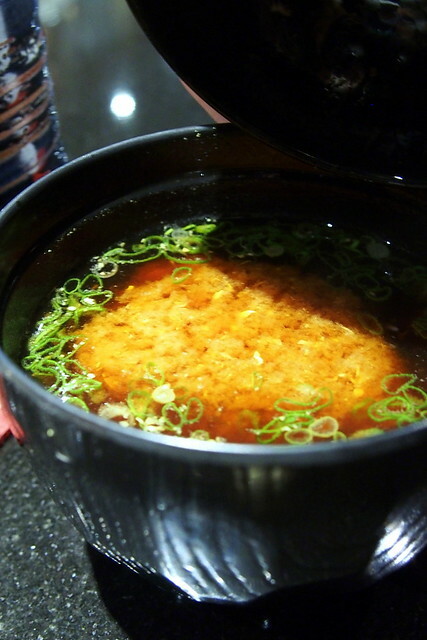 A bowl of miso soup was served after. It was so rich, flavourful and hearty. 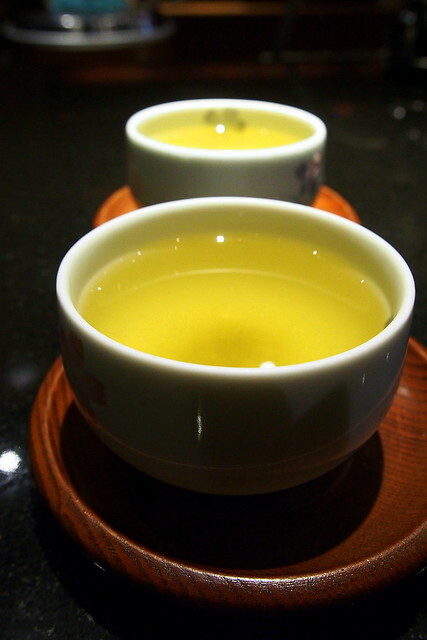 At the end of our dinner, we each had a small complimentary bowl of fruits and rice green tea. 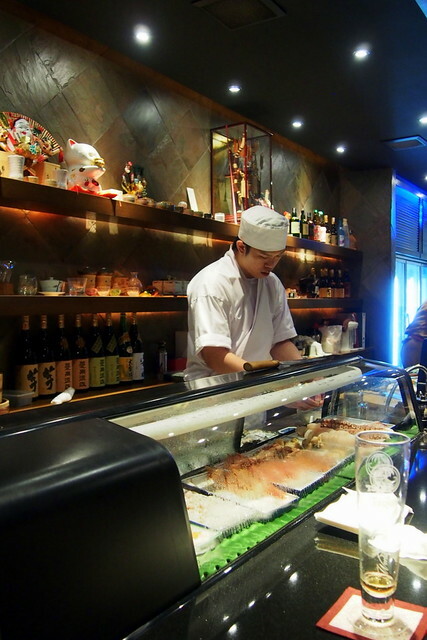 In Sushi Kame, seafood is flown in twice weekly on Tuesdays and Fridays, hence the irreproachable freshness. 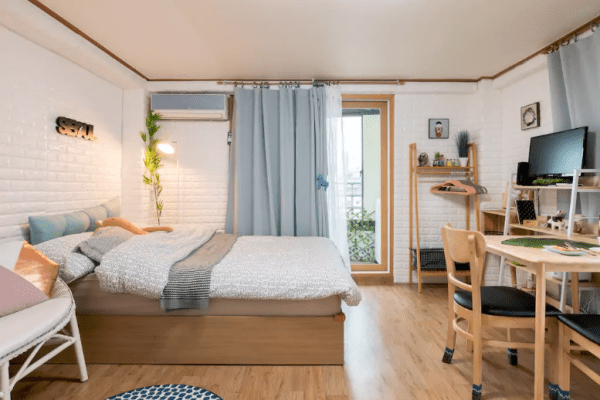 Reservation is mandatory as the seats get filled up quickly. Overall, it was a decent meal. 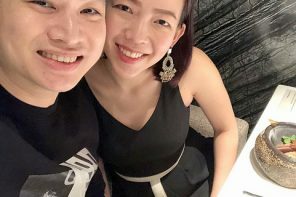 However for the price that we paid for (RM 345 after tax), we felt the omakase dinner lacks true surprises and delights. The sashimis were fresh, but we were expecting something more unusual than salmon, tuna and amberjack. Same goes for the sushis, grilled cod and fried kakis. 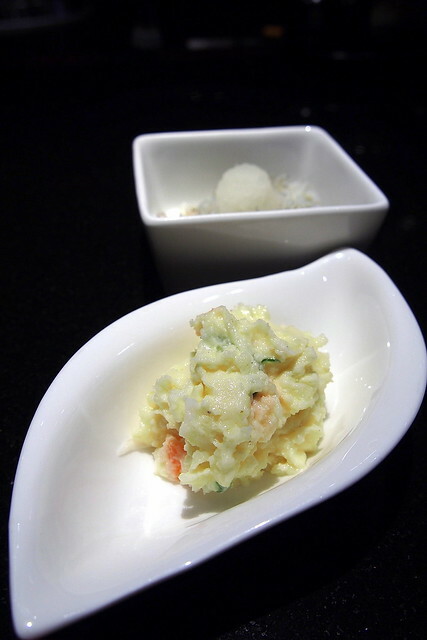 We will probably return to try Sushi Kame’s value for money set lunches instead of the omakase courses.